You can print a contact sheet of selected images on your Canon EOS 6D in ImageBrowser EX. The contact sheet is a handy reference that shows information about each photo as well as a thumbnail image for each photo. Many photographers file these as reference material. They’re useful for showing images to prospective clients. After all, looking at an image tells you a lot more than looking at a filename. Launch ImageBrowser EX and then select the images you want to include on the index sheet. If you choose RAW images, ImageBrowser EX uses the thumbnail image for the index sheet because ImageBrowser EX can’t decode RAW files. This may result in poor image quality. Click the Print button, and then choose Contact Sheet. 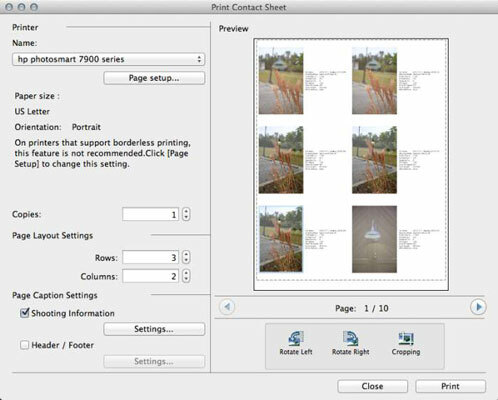 The Print Contact Sheet dialog box appears. Choose a printer from the Name drop-down list. 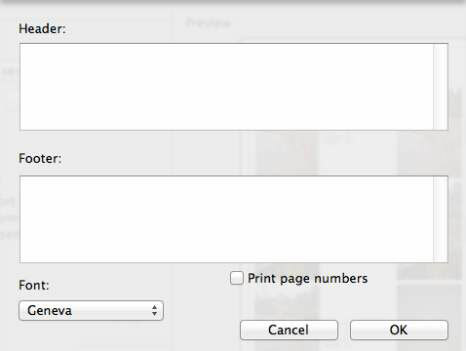 Your default printer is listed on the button and any additional printers connected to your computer appear on the drop-down list. A dialog box with the printer properties appears. The properties differ depending on what type of printer you use. Specify the desired options from the Page Setup dialog box and then click OK. Enter the number of copies in the Copies text box. Alternatively, you can click the spinner buttons to specify the number of copies. In the Page Layout Settings section, enter the desired number in the Columns and Rows text boxes. This setting determines how the images display on the sheet. The default setting gives you three rows and three columns. If you choose a larger number, the images will be smaller. (Optional) Deselect the Shooting Information check box (it’s enabled by default) so that only images appear on the sheet. If you deselect this check box, skip to Step 12. If you left the Shooting Information check box selected, click the Settings button. The Shooting Information Settings dialog box appears. 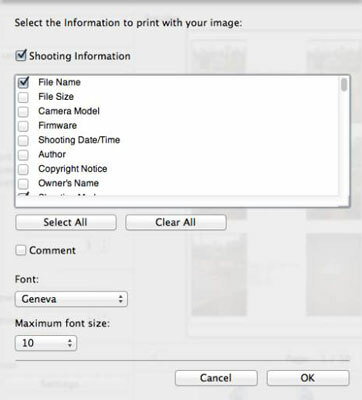 Select the Shooting settings you want displayed under each image and then select the Comment check box to print any image comments on the contact sheet. Accept the default font (Geneva) or choose a different font from the drop-down list and then click OK. The Shooting Information Settings dialog box closes. (Optional) Select the Header/Footer check box to include a header and footer on each sheet. If you don’t select the Header/Footer check box, skip to Step 15. If you selected the Header/Footer check box, click the Settings button. The Header/Footer Settings dialog box appears. Type the desired text in the Header and Footer text boxes, change the font if desired, and then click OK. The Header/Footer Settings dialog box closes. To change the orientation of an individual image, click it and then click one of the icons below the preview window. You can rotate the image right, left, or crop the image. The third option seems rather foolish as the object of a contact sheet is to show a thumbnail version of the complete image, not a cropped copy. If you do choose to crop the thumbnail, a dialog box opens with a preview of the image and cropping handles you can drag to crop the thumbnail. The selected printer prints the contact sheet.